What is a witch? Well, that’s a loaded question. The word witch, I would venture to guess, means something different to every person you come in contact with. 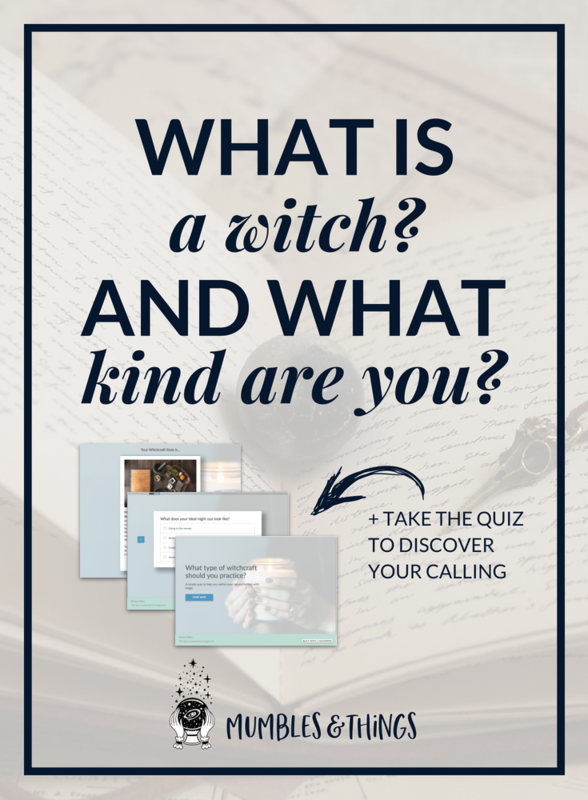 For me, and for the purpose of these blog posts, a witch is someone who practices witchcraft. The logical next question to answer is, what is witchcraft? There are many varied answers for this question as well. We will define witchcraft as the use of magic and sorcery, a universally agreed upon definition. There are disagreements when it come to defining witchcraft. These come from the qualifications of this Craft: is it good or evil? is it noble or wicked? is it ethical or sinful? Well, that’s for you to decide. As you gain more knowledge of your Craft, you may discover that witchcraft, in and of itself, cannot be described by such words. Rather, these adjectives describe the way you use it and the choices you make. The great thing about it is that it’s all up to you. You define your craft for yourself. And often, there is a shadow of shame hidden in the question. And this shame is due to the patriarchy. Let me be clear, the patriarchy is the masculine societal rule that has pervaded the planet for over five thousand years. This is important. This is not about contempt for male-identifying humans, it's not about gender. The patriarchy is the misuse of masculine energy which has brutalized, raped, and suppressed the feminine. The witch-hunts of Salem and especially in Europe whipped up a hysterical mob mentality against women and, more importantly the feminine. Wise women/men, natural healers, and anyone who was outside the norms of the societal status quo who owned land or who refused to conform to the Patriarchal rule and the Christian religion of the time. Basically, in fear of the power of the feminine power, human beings, the earth, and its creatures, were executed falsely. Witchcraft and feminism are intertwined throughout history. The word witch has been used to oppress and degrade women, to pit us against each other and to ignite fear and shame. At the same time, people are often drawn to witchcraft in an effort to reclaim that divine feminine energy. Salem Witch Trials Timeline, Witch Hunts in Europe, and the recommended sources at the bottom of these linked pages. It is crucial that we reclaim the beauty, power, heritage of the word Witch. Witches love the earth, and worship nature. A witch’s purpose is the very earth we need to save. Witches relish their wild nature and align themselves with the cycles of the earth and the phases of the Moon. For many people, to claim the word Witch is to claim a relationship to the Mother Earth. Witches have always been women who are groovy, courageous, non-conforming, intelligent, explorative, curious, sexually liberated, independent, and revolutionary. So, because I aim to de-stigmatize, and return honor to the word Witch, when someone asks me if they are one, I will always answer, "Yes." If you think you are a witch, you are a witch. If you want to practice witchcraft, practice witchcraft. We must reclaim the title of witch. If you have decided you are a witch and want to practice witchcraft you may be wondering what comes next. Think about your interests and where your focus is already. Think about where you live and what materials will be available to you easily. It may be helpful to create a visual representation, like a mind web, showing the way you spend your time. SKILLS - examples: drawing, writing, cooking, gardening, building etc. INTERESTS - examples: birds, hiking, technology, science, fantasy etc. VALUES - examples: political issues, religion, human rights, animal rights, etc. MOTIVATORS - examples: family, money, friends, career, life goals etc. PERSONALITY - examples: calm, outgoing, cautious, determined, etc. LOCATION - examples: coast, forest, desert, apartment, college, rural, urban etc. Once you’ve discovered what drives you as a person, this should give you an idea of a natural way to merge magic into you daily life. Think about pop culture witches you admire and dislike. A quick google search will bring up many resources that define various types of witchcraft. 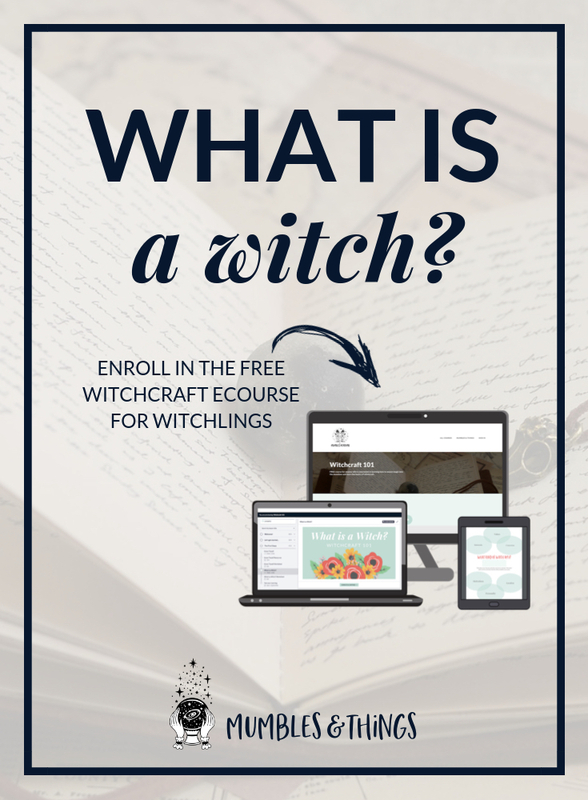 If you need some guidance, you might enroll in my FREE ecourse Witchcraft 101 to gain access all the video lessons and worksheets. Scroll down to find out how. If nothing is calling to you, that’s okay! You don’t need to force yourself to fit into any mold. Make your magic fit you. 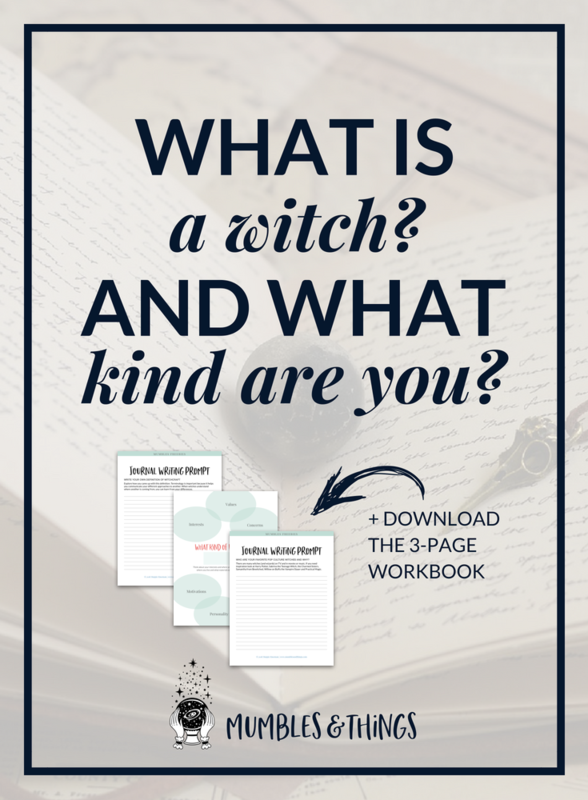 Some witches prefer to define their craft very specifically, some witches don’t much care for labels and will simply settle for, “witch.” You can decide for yourself how you’d like to define yourself and your practice. Are you starting to catch onto the theme here? You are the key to your magic. Don’t forget that. When you finish your workbook, make sure you learn the principles of magic.